In what I’m assuming is a side project of Design Sheds founder Troy Paiva, Lost America is a retro slice of the middle of the country containing desolate and abandoned pieces of America’s past. The past, in this case, is otherwise defined as a time from the 1950s until the mid 1970s, when everyone drove a Cadillac and people wore hats to work. 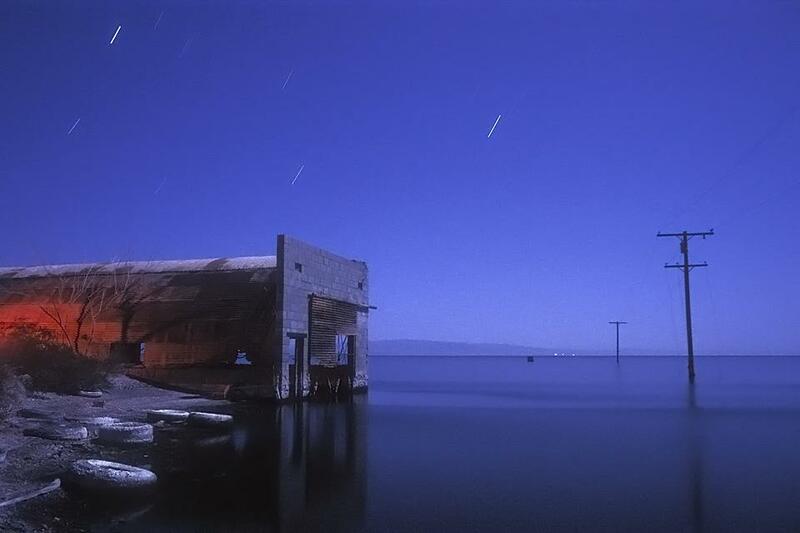 North Shore Marina, Salton Sea. All, the letters are gone now. That white crust on the ground? Dead fish. Millions of dead fish. 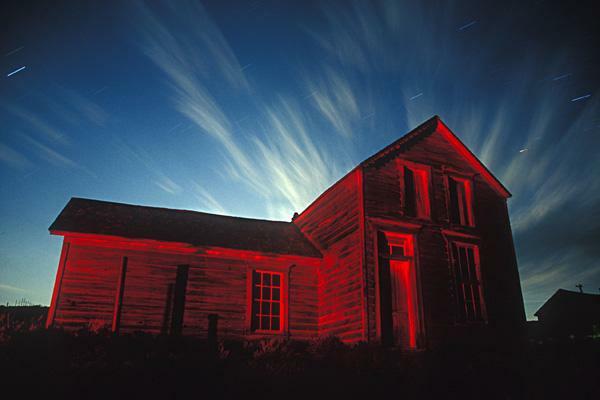 Night, 160T film, 100% full moon / star light, 8 minutes, f5.6. Inside one of the out buildings at the ghost town Lockhart, CA. Night, full moon, totally dark room, LED flashlight. Canon 20D. 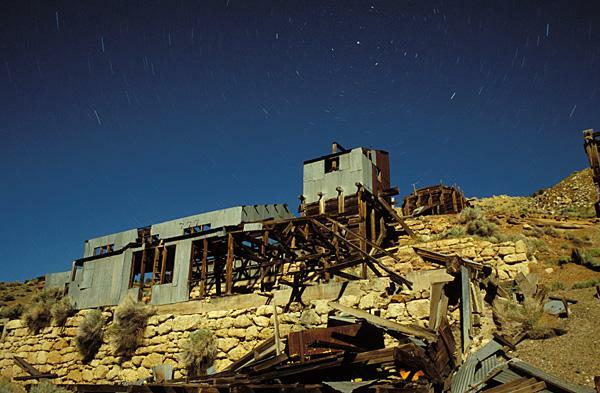 The stars spiral overhead at the massive abandoned mine complex in Grantsville, Nevada. Night, full moon, 6 minutes, f5.6, 100VS film. Available light only.